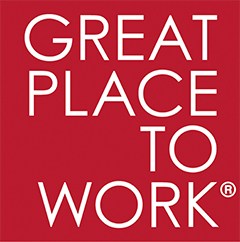 RiverStone is recognized both in our industry and the market at large as A Great Place to Work™ (Based on 2016 Great Place to Work survey). The numerous accolades and awards we’ve earned are the result of a shared culture based on our values. We all share a commitment to each other, to our work, and to all of RiverStone’s stakeholders. We believe that our people are RiverStone’s greatest asset. We want to attract and keep the best people – those with ideas, ambition, talent, and the ability and desire to do something rewarding and meaningful in collaboration with others. We constantly strive to grow our expertise and maintain our reputation as a fair and credible partner to sellers, employees and other stakeholders. We are the leader in our industry. We seek out skilled and creative people who are driven to achieve their personal and professional goals, and who help each other to do the same. We strive to share views and information with each other, and to give and get open and authentic feedback at all levels of the organization. We like to work, and we like to have fun…at work. We care about the personal and the professional well-being and development of all our associates. We coordinate our decisions and our work across the organization to improve efficiency and productivity and to ensure that our associates and values are aligned. We hold ourselves accountable for a culture and environment where people can be themselves and work together as a team according to the values we uphold as a company. We are a diverse group of people with a diverse set of answers on “Why RiverStone?” yet we all share some things in common. See and hear what a few members of our team have to say in our latest video. There are many moving parts to managing and delivering responsible run-off. Our team comprises a wide array of skill sets and personalities to ensure we can get the job done. See our various areas of expertise and work below. Oversees governance, licensing and complex litigation for liability, mass tort, etc. As part of a family of companies with shared values around collaboration, hard work, fun, family, and personal growth, we are active with others outside the confines of business. In fact, these traits help shape all of our relationships, including those with our fellow neighbors and citizens. RiverStone goes beyond compliance and corporate responsibility mandates by how we fulfill our varied roles as an organization in business and as individuals in the community. For example, it’s our policy to match employee charitable contributions and to make time available to support others in our communities. We believe in helping others. Nick Bentley (left), RiverStone’s President & CEO, presenting a check to NH Food Bank’s Nancy Mellitt (Director of Development), Eileen Groll Liponis (Executive Director), and Robert Gossett (Advisory Committee). Raising money for The Clock Tower Sanctuary to support homeless youth in Brighton and Hove, UK. Helping to paint the outside of Girls, Inc. Headquarters. Cultivating a garden for the local food bank in New Hampshire. Volunteering at New Hampshire’s Audubon, which is dedicated to natural wildlife preservation. Joined forces with Macmillan UK to raise funds for cancer research. Raising money for Centre Point to support homeless young people in London. See some of the unique ways in which RiverStone recognizes, rewards, and expresses appreciation for each other.